• Always keep dogs at least four feet apart. dogs learn to work and behave around other dogs. Keep a distance of 4-5 feet apart. their dogs will be asked to get a different handler. • Respect everyone's personal space, both dog and human. • If your dog has an accident inside the building, you are responsible for cleaning it up. in order to keep up with the assignments. • No smoking allowed during class. shoes and clothes that do not interfere with the dog’s work. hours before, or feed when you get home after class. the lesson. If you are consistently late, marks will be docked from your final test. to back out of them. You will only receive one warning on this. suit them up after you arrive. continue with private training (at the private training rate). • Abuse will NOT be tolerated and you will be asked to leave. or combative will be asked to leave and not return, no refund offered. • Don’t train when you are angry. • Don’t train in the heat of the day. • Stop training if you get frustrated, take a break and go back to it later. • Think positive. Be enthusiastic; make training fun for your dog by being happy. allow him to get away with it at other times. • Remember to use a firm but calm tone of voice when giving commands. 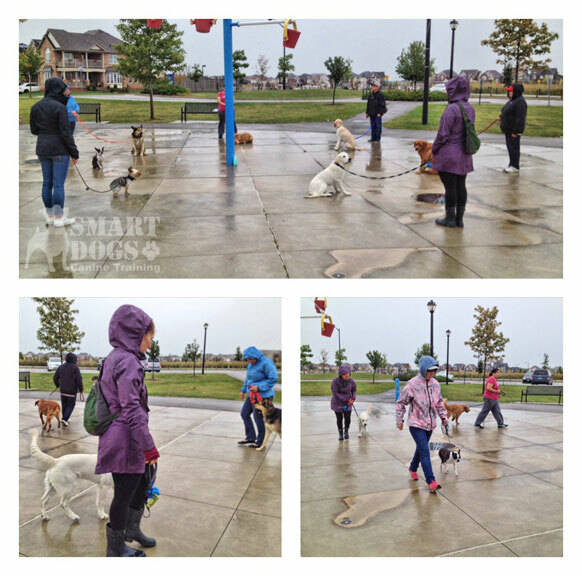 • Make training fun, especially for puppies - intersperse with play and even agility. • The more uptight, animated, anxious, out of control you are, the more your dog will be. • Do not shout at your dog. reflected in your dogs responses.